-- Bush signed a $700 billion bank bailout bill. Obama continued the policy. And he extended it to other sectors, such as the automobile industry. -- Bush tried fiscal stimulus twice while in power. With some help from the Bush team, Obama oversaw the largest fiscal stimulus bill in history. There is occasional talk of another. -- Bush started two land wars in Asia. Obama could end them. Instead, he is committing more troops to Afghanistan. -- Bush oversaw Medicare part D, the largest expansion of government’s role in health care since 1965. Obama also would like to expand government’s health care presence. -- And now, we have the PATRIOT Act. The bill was perhaps the largest expansion of executive power in seventy years, and the Bush administration’s signature legislation. Now that Obama happens to be the executive with all these cool powers, turns out he likes the PATRIOT Act, too. So he wants to extend some of its expiring provisions. 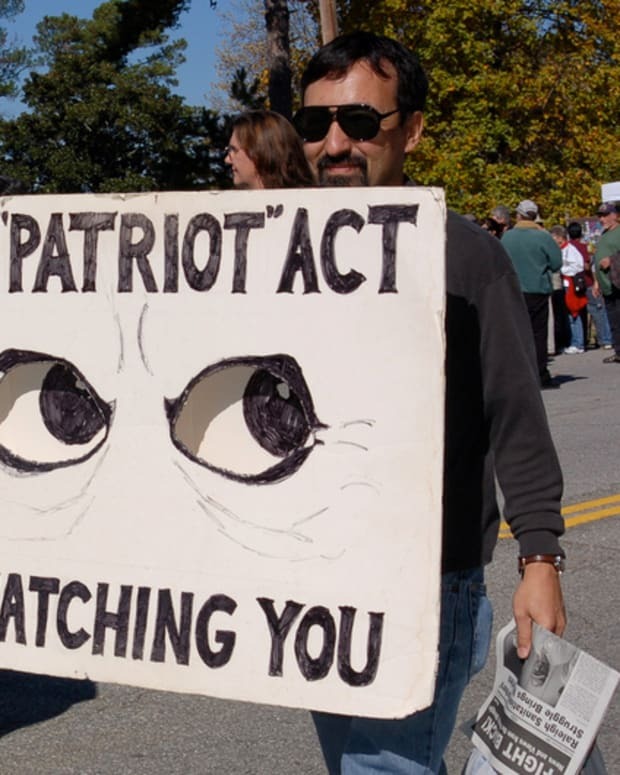 Should Patriot Act be Renewed?